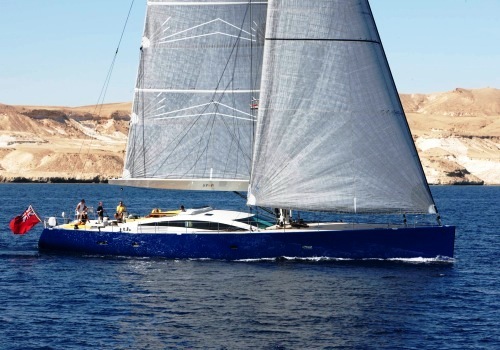 Sailing yacht SPIIP is a CNB 86, designed by the naval architect Philippe Briand. 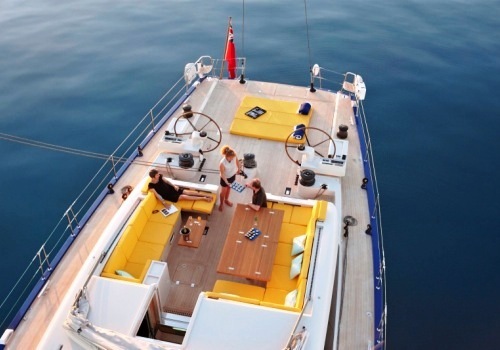 This luxury super yacht measuring 26,21m (86') exudes performance, luxury and opulence. 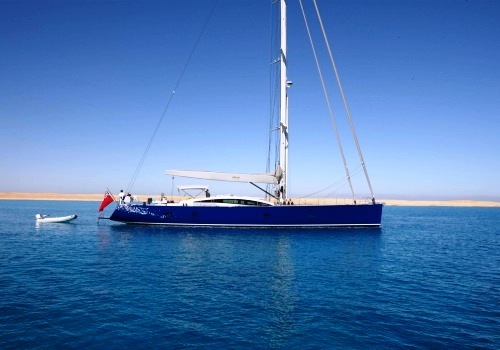 Sailing yacht SPIIP is available for charter in the exotic location of Egypt and the Red Sea as well as the Mediterranean and can accommodate 6 guests. 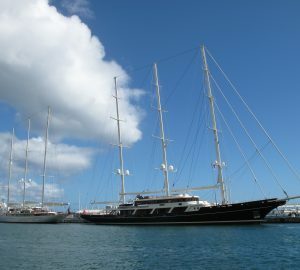 Luxury super yacht SPIIP was unveiled in October 2009 in Bordeaux. 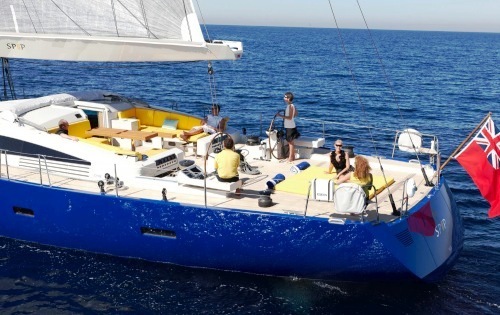 She features cutting edge performance enhancing design elements such as an almost vertical bow and hull sides for fast beating, as well as a generous 400sqm upwind sail area to enhance speed and performance. 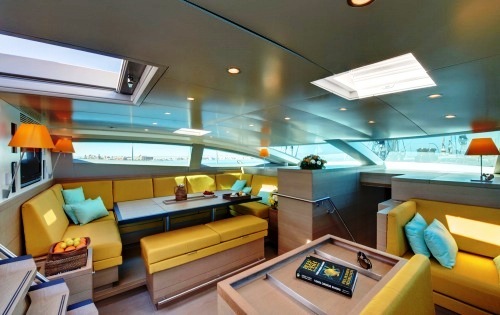 The characteristic CNB Deck Salon design allows for a large deck house, and a higher influx of natural light plus a comfortable central cockpit to enjoy 360 degree panoramic views. 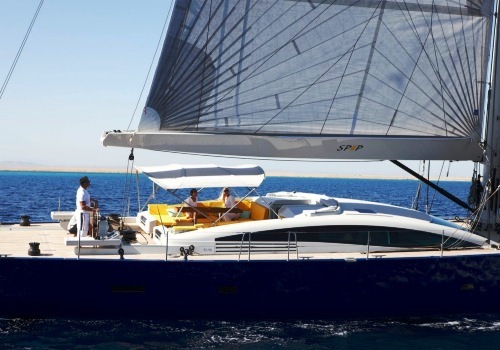 The sleek and speedy exterior of the beautiful sailing yacht SPIIP is matched by her sumptuous interior designed by Jean-Marc Piaton. 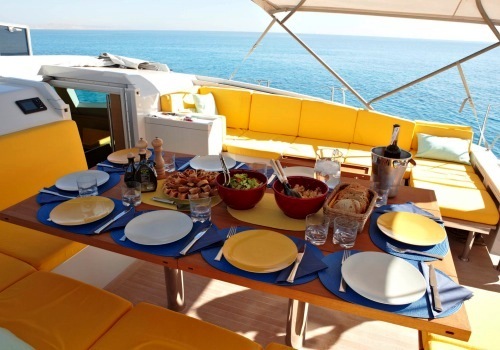 The styling offers a Mediterranean feel with a light and airy design with splashes of bright fresh colour. 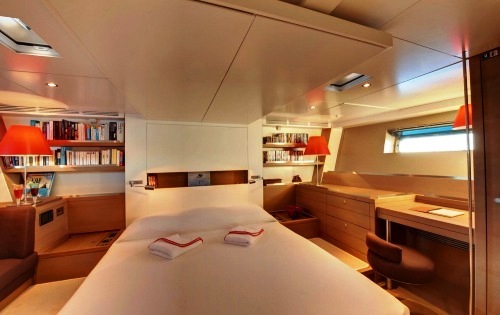 Charter sailing yacht SPIIP can accommodate 6 guests in 3 cabins with ensuite bathrooms. 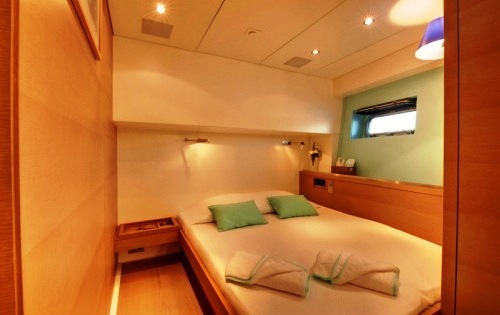 The huge master cabin is located aft. 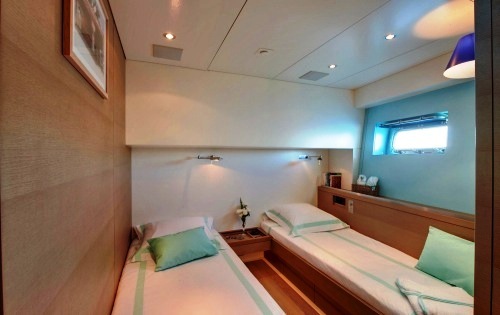 The 2 guest’s cabins are located on each side of the deck salon. 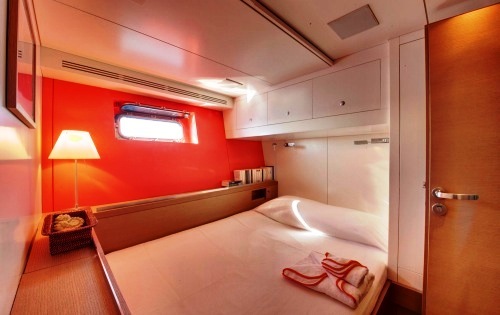 There is one double cabin and a convertible cabin that can either have a double bed or two twin bed configuration as seen in the photos. 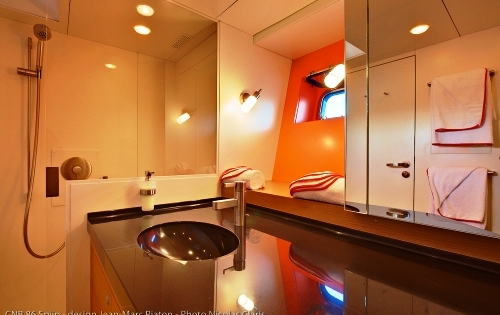 Charter sailing yacht SPIIP can accommodate 6 guests in 3 cabins with ensuite bathrooms. 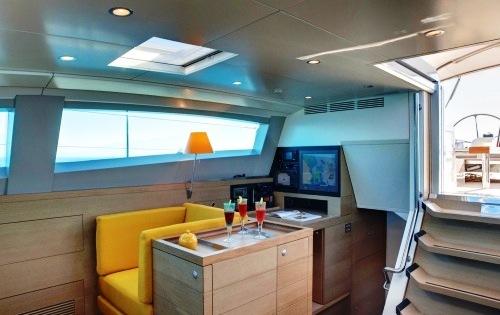 The master cabin is located aft. There is one double can and a convertible cabin that can either have a double bed or two twin bed configuration as seen in the photos. 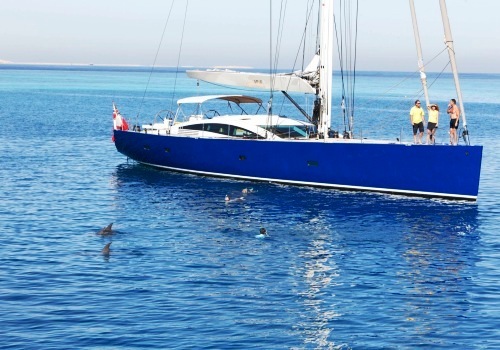 CNB sailing yacht SPIIP has the following Tenders and Toys onboard: A Hardbottom dingy with 40 HP, Waterskis, wakeboard, kneeboard, snorkelling gear and fishing gear. Communications onboard include Internet, fax, phone. 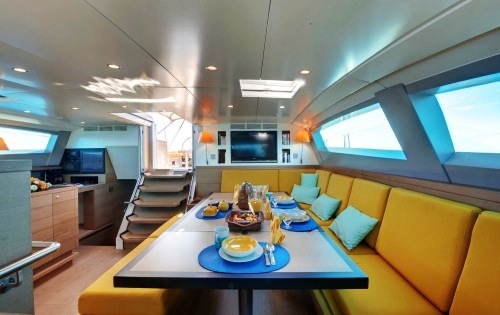 Audio Visual Equipment and Deck Facilities include a TV screen plasma in the saloon and master cabin, Böse sound system - Ipod station, a Central cockpit with dining table and coffee table, fridge, 2 electrics settee “le Corbusier”), sunbathing area with cushions, aft swim platform, bimini, dodger.